One of the biggest challenges I currently have is time management. Sometimes I feel like a have a better handle on this than others, and right now I’m definitely in one of those “other” seasons. 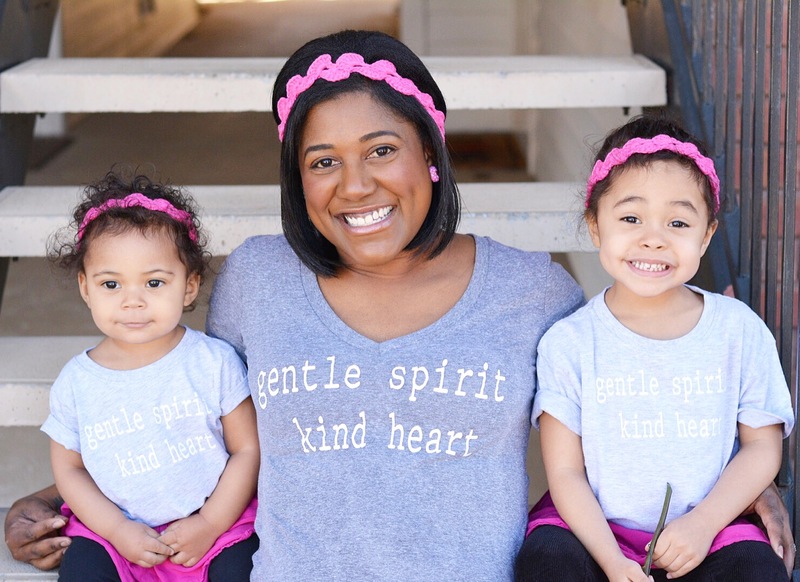 Being a WAHM with a 4 year old and infant at the house with me 24/7 has proven to be quite the juggling act, and I have to fight hard to set aside intentional time with the Lord. 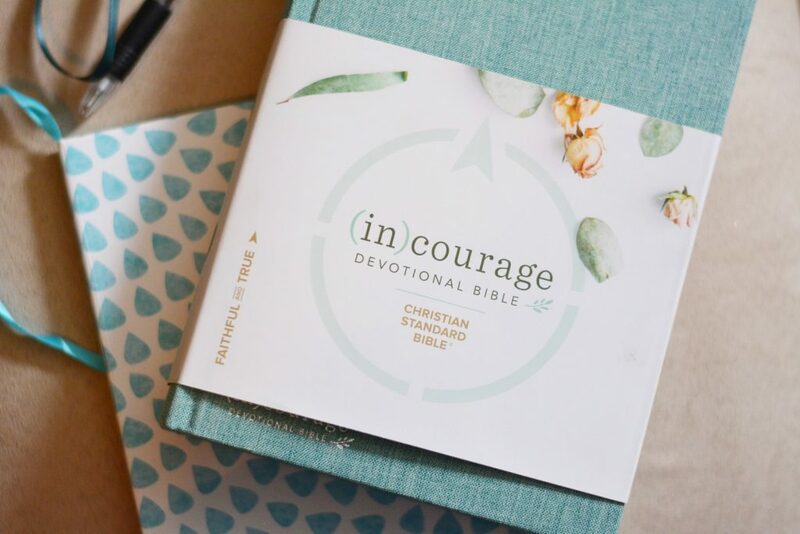 I have multiple Bibles for different translations and study purposes, but The CSB (in)courage Devotional Bible has quickly become my new daily go-to. The Christian Standard Bible (CSB) features highly readable and reliable text. 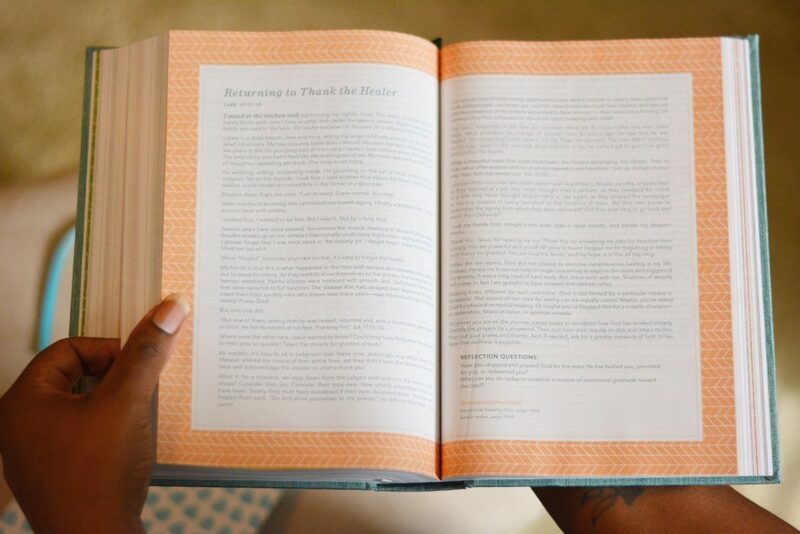 It’s clarity makes it easy to engage in as well, and the pages are filled with eye-catching beauty. 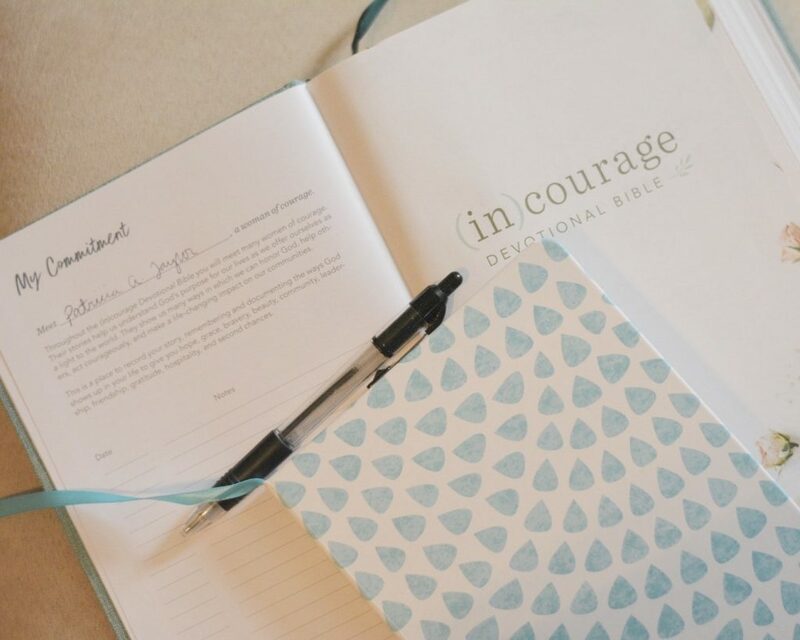 In addition, you’ll find 312 devotions written by a number of incredible women in the (in)courage community! 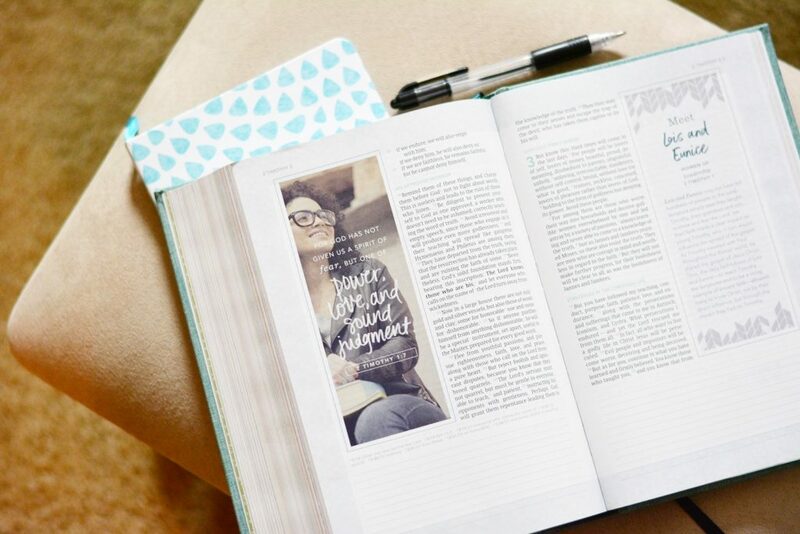 There are reading plans and special profiles like the ‘Women of Courage’ that highlights 50 women of the Bible and how God’s love is shown in each of their lives, along with book introductions, journaling space, and so much more to explore! 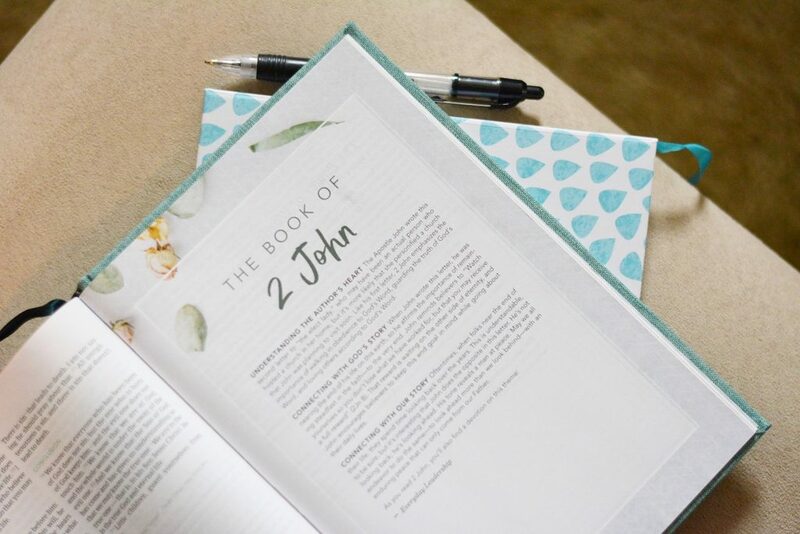 As you open this Bible you’ll see a place to write your name as a woman of courage. 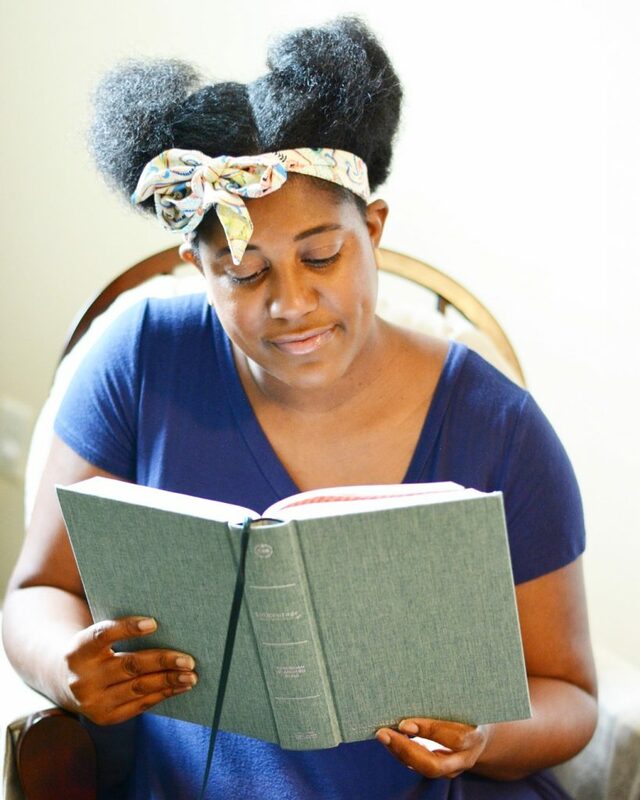 Laced throughout the biblical truths you’ll find clear reminders that while life is messy and imperfect, we are still courageous and strong through the love and wisdom of the Father. Not only that, but as a community of women, and believers, we’re all in this together! 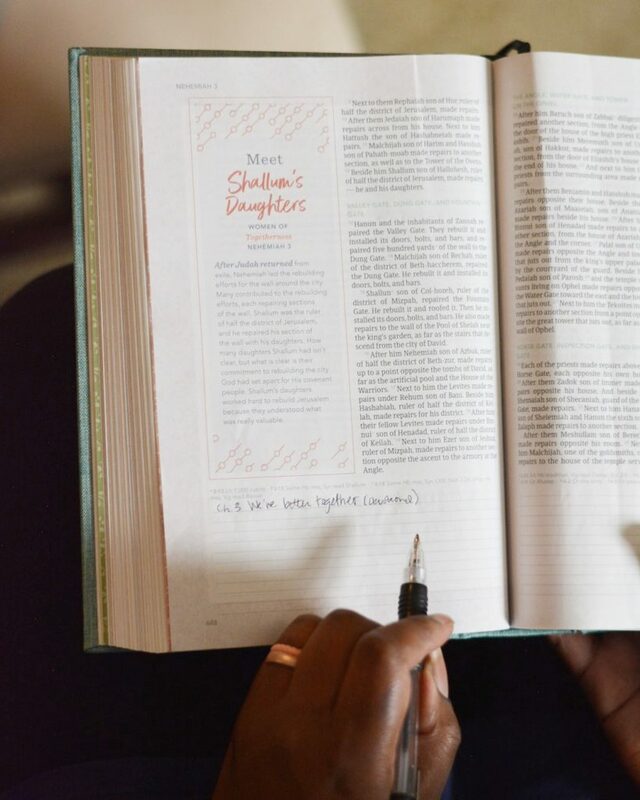 Although I am a proud wife and mom, I am a daughter of the King first and foremost, and I appreciate being reminded of that each time I open up the Word. 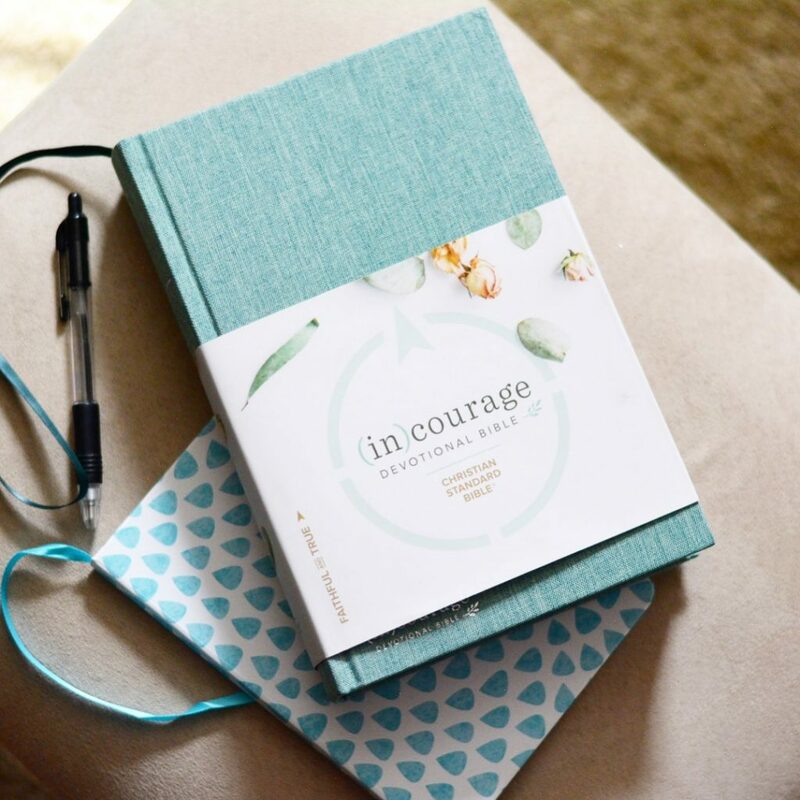 The CSB (in)courage Devotional Bible has truly helped me elevate my studies and make the most of the time I have. Because I love it so much, I’m given one of you the opportunity to win one for yourself!! Follow THIS LINK to enter, and if you’re also in a season of trying to better manage your time with the Lord, I’d love to hear from you!